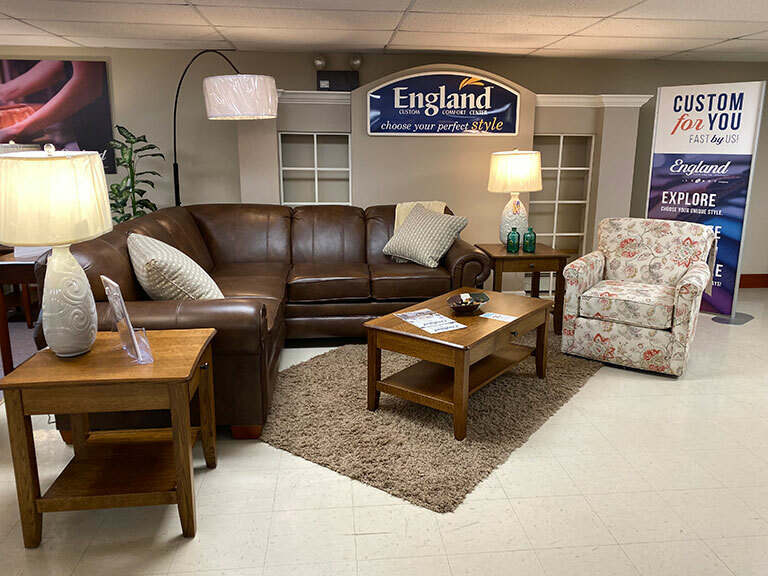 We have three floors of living room furniture, ensuring you the best selection around. You’ll find many pieces of upholstered and leather furniture from the leading manufactures and we have over 250 chairs in stock at all times. From traditional to contemporary or elegant to rustic we are sure to have the style and comfort you’re looking for. 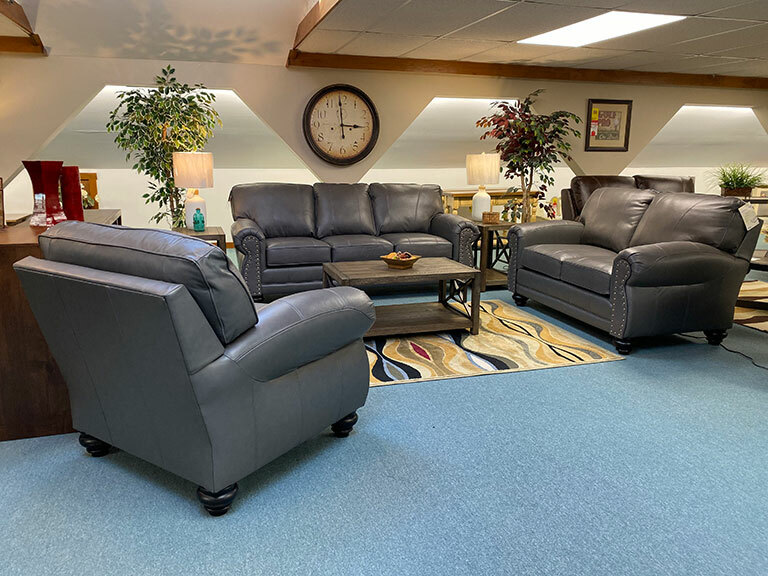 You’ll find a large selection of motion seating in recliners, rockers, lift chairs, couches and love seats. Our motion seating moves with ease and offers you the comfort you desire. Finish off your living room design with a new cocktail table, end table, chair side table, sofa table, or accent table! Many of our pieces are available in your choice of fabrics or leathers allowing you to purchase exactly what you have in mind. We have two fabric centers for you to browse through offering a variety of materials and patterns. Neutral, bold and bright, or subtle with a pop of color on your pillows, we are confident we have the material you’re looking for! With the tools below you can make sure the furniture you’re looking at will fit in your room. Take a few minutes to move it around to see if it’s a fit without breaking a sweat! Take it a step further and browse the fabric selections to change the furniture coverings to find the perfect match. Once you’ve made a decision bring us your ideas and we will special order it for you. All manufacturers timelines vary for special orders, but our sales staff will give you the best estimated time of arrival for the product you are purchasing. 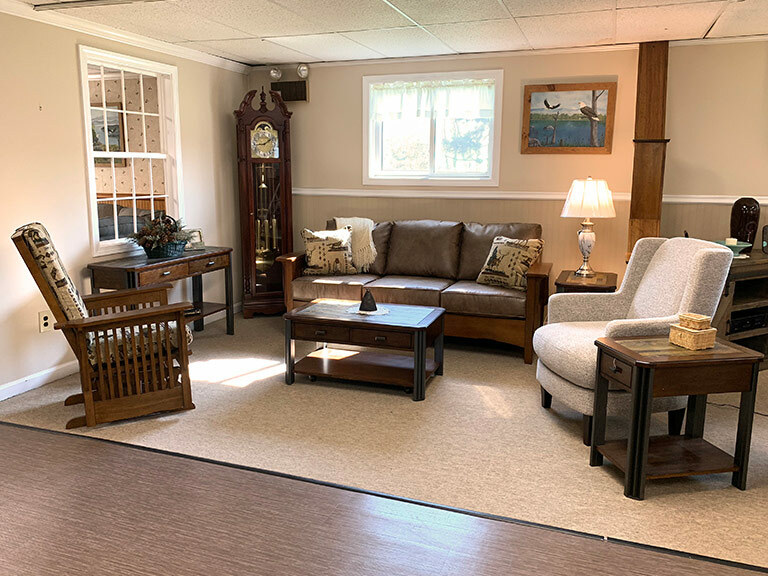 We are excited to offer quality Amish made furniture by Daniel’s Amish Furniture and Genuine Oaks Design. Both companies are located in the USA and each piece of furniture is given the utmost attention to detail and craftmanship. Stop into our showroom to see the selection and quality of the craftmanship.